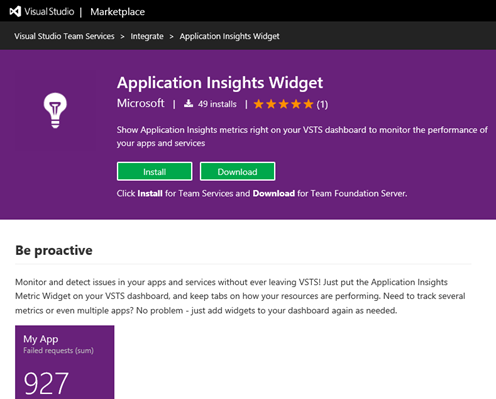 As part of our ongoing effort to help you better integrate your Application Insights information into your daily workflow, we’ve developed a metric widget for the Visual Studio Team Services (VSTS) dashboard! 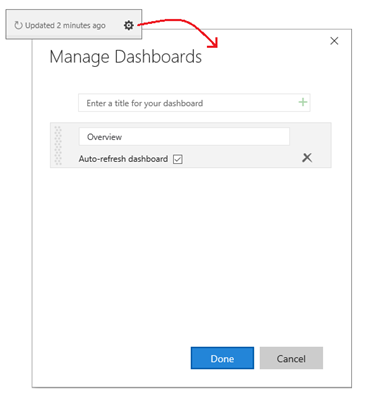 It’s very simple to install and set up, and will help you keep tabs on your telemetry and diagnostic data even when you’re not viewing it through the Azure Portal. To download and install the metrics widget, you first need locate it in the Visual Studio Marketplace. On your VSTS dashboard, click the edit button at the bottom right of the screen and select the Application Insights metric widget that should now appear in your list. You’re now ready to configure your widget. This process is very simple. You need to provide the widget with your application id and an API key in order for it to return metric data from your Application Insights resource. 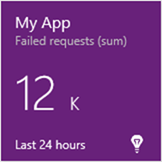 To find these two parameters, look in Settings/API Access for your Application Insights resource in the Azure portal. The config dialog for your widget should have opened automatically when you added it to your dashboard. Your next step is to simply copy/paste the app id and API key into the appropriate field in the config dialog and your additional configuration fields will become active. Now, you can easily choose the desired metric that you want to track (the drop-down list is created from only those metrics available for the specified resource), along with the aggregation (e.g. sum, average) and time range over which you’d like to track your metric. Once you’ve provided those things, you just push the “Save” button and you’re all done! Your metric widget should be available and active on your VSTS dashboard. At this point, there’s not much that you need to do in terms of the widget. You can obviously relocate it to your desired location on your dashboard. One thing to note is that, if you’d like for the data to automatically refresh on your widget, you need to have the automatic refresh option selected for your dashboard. You can find this option by clicking on the settings icon at the upper right of your dashboard, and checking the “Auto-refresh dashboard” box. Just to be clear about what the widget displays, you should see title, tracked metric (aggregation), metric value, and time range. You can add the widget to the dashboard multiple times to track a variety of metrics or even several resources at the same time. This brings up an important note in that there is a limit on how many metric calls can be made within a one-minute time period for the same API key. However, the limit is 60, so unless you’re putting together some pretty busy, complex dashboards, you’ll likely never hit that limit. However, if you do need to display a very large number of metrics on your dashboard simultaneously, you may need to generate additional API keys to handle that scenario. I would suggest, though, that if you are tracking a lot of different metrics, especially across several different resources, ask yourself how related all of those things really are; assuming that they don’t all need to be viewed together, keep in mind that you can define multiple dashboards in VSTS, and that may be a better way to carve things up. Another interesting thing you can do, that may be a best practice in many scenarios, is to add a basic markdown tile to be placed near your App Insights widgets on the dashboard. 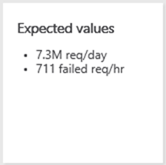 You can post expected metric values or thresholds that would be of concern, which tells your team how to read the data that they’re seeing. We are investigating ways for the widgets themselves to help denote these things, but for this initial release, this is a great way to easily communicate what the numbers mean to your team. Lastly, if you click on the widget, it will open the Azure portal for you for faster navigation. We are researching the possibility of this navigation taking the user directly to the specific resource (perhaps landing on the Metrics Explorer – we’d love feedback on this idea). Color coding: Widget background color change based upon specific criteria. This makes for more complex configuration, but adds an additional data point to the widget. Another possibility here is simply displaying an icon on the widget (like an exclamation point) if the metric hits a certain threshold (this latter idea is better for accessibility for those who have difficulty seeing color). Alert widget: Create a widget based specifically upon alerts, or allow for alerts that are associated to the selected metric. Kusto widget: Create a widget with the same basic functionality as the metric widget, but based upon a Kusto (App Analytics) query, so users can invent and return their own (perhaps very specific) metric. Charts: Create a widget that can return a series of data and display it in a chart. We have some internal challenges to sort out in order to offer this, but we’re working on it. 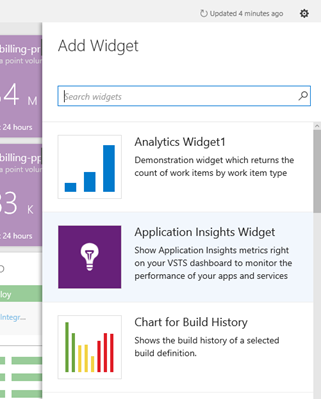 We hope the new widget helps you stay on top of your Application Insights data. We have more coming for you very soon, so please keep an eye out for my Azure blog posts for new announcements! As always, please share your ideas for new or improved features on the Application Insights UserVoice page, and for any questions visit the Application Insights Forum.